It is yet again the season of long awaited queues, frenzy fans and technology enthusiasts. This time iPhone has released iPhone 6 and iPhone 6 Plus and like all the other fans you might have also brought the latest edition of iPhone. So how are you planning to transfer the data from your old phone to iPhone Plus? Manually? I believe that will be extremely tiresome and might take away your enthusiasm for the new gadget. In this article, I am writing about an application which will give you an easy way to backup, restore and transfer your data from one Apple device to another. The solution lies in CopyTrans Shelbee, it easily transfers your data and saves ample amount of time. It is by far the easiest and most reliable form of data management software for Apple devices for which Apple iTunes is not required. Using the application is quite simple, you just have to connect your any Apple device to your computer and the rest will be taken care by CopyTrans Shelbee. It can back up almost everything from your device settings, contacts, messages, pictures, music camera roll etc. CopyTrans Shelbee has the capability of fully backing up your phone and restoring it in without any assistance from iTunes. Also, you can choose the iOS backup location of your own. You can as easily restore the data back into your new Apple device. 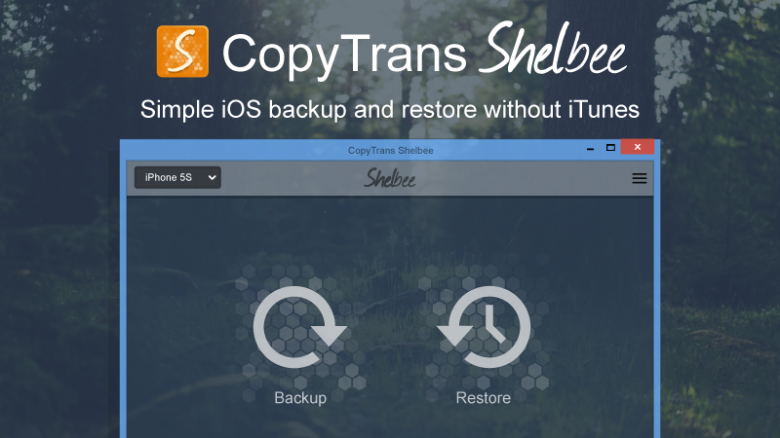 CopyTrans Shelbee also allows you to restore the backups that have been previously made by iTunes. If you are sceptical about the restoration process, then rest assured that CopyTrans Shelbee’s easy to use interface just does everything for you. The incremental support backup feature is extremely useful as incremental backups will not take up a lot of space in your computer’s hard disk. So if you are too tired with the hustle and bustle related to transferring your stuff across your apple devices, all you have to do is install CopyTrans Shelbee and leave everything to it. This is a free software and works on almost all the versions of Windows also, it is compatible with iOS 8 and Apple iTunes 11.4. Currently this software is available in beta stage and we are expecting much more value to come out of it.